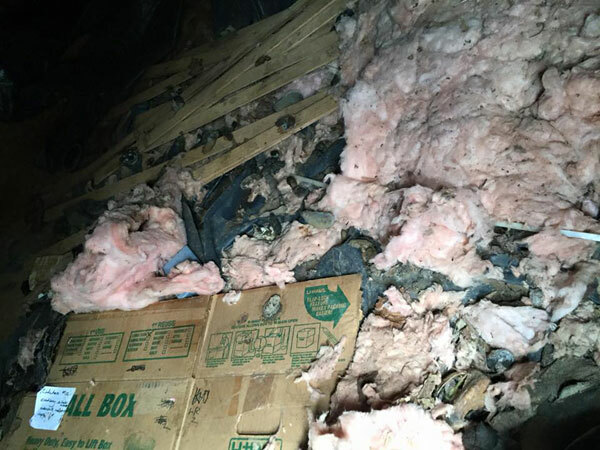 We first inspect the crawl space, attic, and vapor barrier for visible signs of unsanitary or unhealthy contaminants. Cleanup methods will include steps to prevent spreading contamination to other building areas. 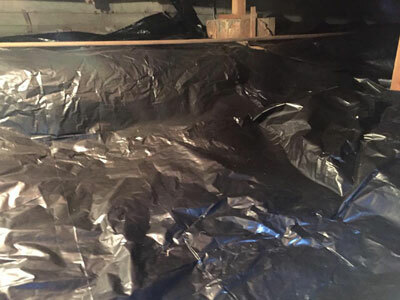 We offer a variety of crawlspace services, from removing contaminated insulation, and vapor barrier, whether it be from animals, pests, or water. We will go over with the customer all aspects of cleaning the crawl space such as inspecting, cleaning, removal, and then if necessary a dry out time. When insulation becomes damaged by animals, pests, or water it is necessary that it be removed from your home. Removing contaminated insulation will decrease further damage from animals and pests, ensuring a healthy home and environment. While removing the insulation, if any, animal entry sites will be sealed. 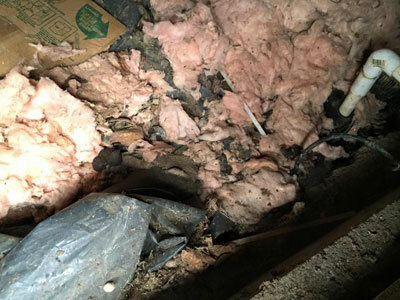 The process is similar to cleaning out a crawl space, however it is concentrated on just the insulation that is damaged. Steps taken to provide the service start with a no-cost evaluation of the area. Living in the Northwest we encounter far more rain and wet environments than most places. 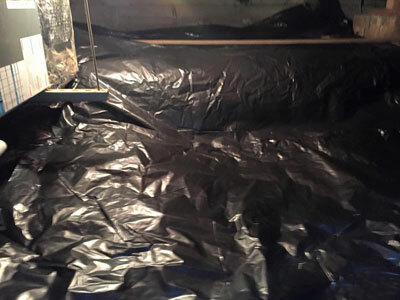 Vapor Barrier is a 6 millimeter thick, black plastic placed under a home to keep moisture out. Over time it can leak, or in some cases it was not installed properly the first time. After an inspection and assessment of the vapor barrier, it will be communicated to the customer what is needed to be done. In most cases, it will be a full removal and replacement of this plastic. Replacing it when needed helps avoid damage to the foundation of your home, while keeping out any moisture. 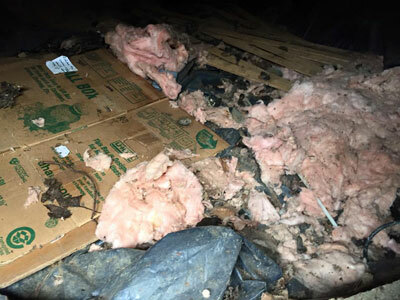 Damage in a crawlspace caused by rodents.